Vijay Mallya, the chief executive of India’s fast-growing Kingfisher Airlines, has purchased a 50 percent stake in Epic Aircraft, a maker of small planes based in Bend, Ore.
Kingfisher has been expanding rapidly and ordered dozens of new Airbus planes at the Paris air show this summer. 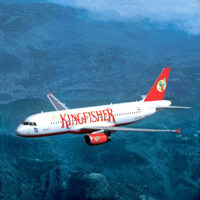 Kingfisher is the first Indian airline to place an order for Airbus’s giant A380 aircraft. Mr. Mallya has said he plans to start direct flights from India to the United States as soon as next year. This deal, worth about $120 million, is expected to be announced soon in New York.Epic makes small, super-light planes. The company’s single-engine Victory carries four to five passengers and sells for less than a million dollars. Previous post: Fashion bible Vogue hits Indian Newsstands.